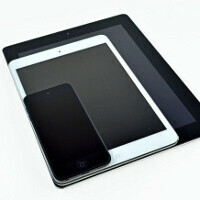 If you wanted to see the Apple iPad mini from the inside you are not alone, and what’s more important - now you can. Device surgeons from iFixit have gotten their hands on the 7.9-inch iPad and are posting the teardown live. They are almost done, and it seems the iPad mini is not extremely tough to repair. For once the LCD and front glass are separate, so you can replace just one of them. Additionally, somewhat surprisingly Apple has used a Samsung-made LCD. This contradicts rumors about Apple trying to cut its ties with Samsung, but it could also be the case that Samsung is not the only company making screens for the iPad mini. Good news is - as we’ve recently learned - that the iPad mini features stereo speakers in an improvement over earlier iPads. This is one of the benefits from the smaller Lightning connector, and you thought there weren’t any! Check it all out at the source below. Transitioning from Samsung won't be so easy. How can Apple just ditch a large scale supplier like Samsung? It's like requesting 100 bags of grain from a backyard gardener instead of a farmer with large fields. Seriously not easy. What about the lightning adapter mas11? That changed everything. Damn forgot about that, now you don't have to worry about which way you plug it in, it has a cool name and the cable is ONLY $30! Give me a $129 and it'll be just like you bought yourself an iPad mini, only with a better screen. You know the Surface Pro has Intel Ivy Bridge with Intel HD 4000 Graphic, this thing can run both Crysis 1 & 2. I've tested it and already completed both games. Something that no iPads can do. What you're getting with Surface Pro, is real power in hand. The only thing we need now, is touch optimized control for those games. And how much will Microsoft charge for this beast? You can't compare to the iPad or other ARM-based tablets without mentioning how much more an Ivy Bridge tablet will cost. I'm sure Steve Ballmer appreciates you advertising here though. However much it costs, it's too much. Especially since you can't change the battery. Why doesn't any company make a tablet where the battery is interchangeable? After a couple of years, the battery will die and it'll change from tablet to paperweight. the price of surface will be high...look what we get for that price...U say ipad charges less??? nexus 7 ! have better ppi, is more confortable in the hand.. is more economic have android jelly bean, for me nexus still better deal..! Wow stereo speakers! That fully justifies the new connector and the old accessories you must throw away. Every time PA mentions the lighting adapter I die a little. Good luck next time you run out of battery and forgot the adapter at home. Charging adapters should just be universal. I love the fact that Android uses micro usb for charging. Everyone and their mothers have one of those.